Patriots tight end Rob Gronkowski has had four surgeries on the arm that he broke last November and hasn't played yet this season. According to one report, though, he could have returned earlier if the Patriots had allowed the break to heal on its own. One source with direct knowledge of the initial forearm surgery told WEEI.com Thursday night that there is “serious concern” about the integrity of the bone where the implement was placed and the surrounding nerves. The source indicated that if the bone had healed on its own without an implement, there would have been no infection. However, there now are concerns that an abscess developed, causing infection and seriously weakening the bone. This prompted three more surgeries in the offseason on the forearm, separate from the procedure on his back. So, reportedly, Gill's hasty surgery compromised what could have been a much easier recovery for Gronk. Dr. James Andrews, who didn't perform any of the surgeries, will make the final decision about Gronk's availability this week, not Gill. The Patriots kept Gronk off of the revocable IR in hopes of his return; he still hasn't played a snap. 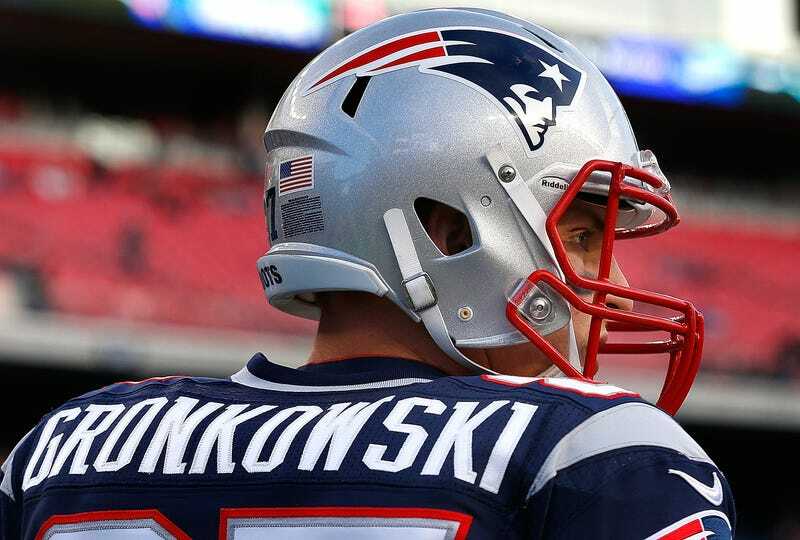 If Gronk ends up not returning this week, this all seems even dumber.